Kirchner Building Centers offers our customers professsional design advice, quality building materials, free estimates and quick, dependable delivery. We can even help you design the kitchen of your dreams! Visit us today! 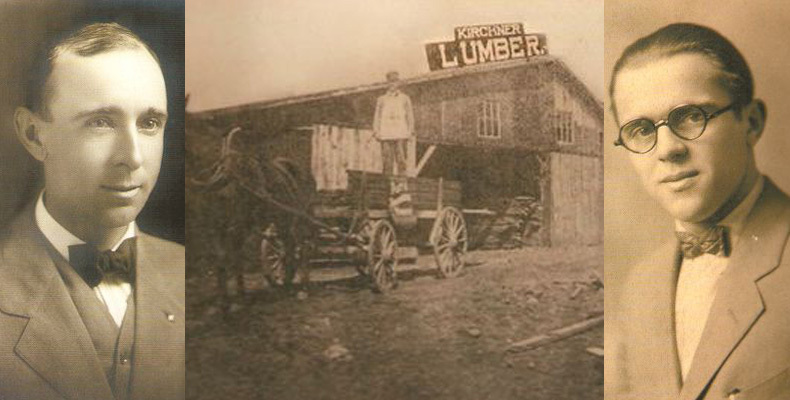 1906- Charles Kirchner came to Kansas, Illinois with the dream of starting a retail lumber company. He was able to fulfill his dream during that year with the opening of Kirchner Lumber. Over the next several years Mr. Kirchner opened lumber companies in the neighboring communities of Marshall, Casey, Ashmore, Redmon and Westfield, Illinois. Late 1920's- Mr. Kirchner's son, George Kirchner, joined him in the business and became a partner in the Company. 1940's- As roads and modern transportation became more effective, the smaller stores located in close proximity were consolidated. 1961- The company was incorporated as Charles Kirchner & Son, Inc. DBA Kirchner Building Centers. 1963- George Kirchner's oldest son, Charles L. Kirchner became General Manager of the corporation. During the next few years, the company closed two more locations leaving only two remaining stores, located in Kansas and Marshall, IL. 1972- Charles L. Kirchner was elected President of the corporation and began a campaign to generate renewed growth. 1974- Purchased the Andrews Lumber Company in Charleston, Illinois. 1982- The Company expanded again by adding a new location in Mattoon, Illinois. 1985- The Company purchased the Hunter Webb Lumber Company in Ogden, Illinois, allowing access to the Champaign and Danville markets. 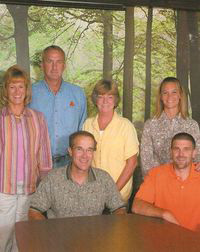 1993- Charles Kirchner & Son, Inc. purchased the McGinness Lumber Company in Casey, Illinois. 1996- Expansion continued with the purchase of the Danville Cash & Carry Lumber Company in Danville, Illinois. January 1, 1998- Kurt Kirchner was elected President. The fourth generation of family leadership has become a reality. 2000- The fourth generation leadership continued the path to generate growth with the purchase of Ace Building Center, located in Paxton, IL. 2006- Kirchner Building Centers expanded again with the purchase of the Jesse B. Holt Co. in Newton, Illinois. 2010- Purchased Patton Lumber in Mahomet, Illinois and closed its Ogden, IL location which left nine Kirchner Building Centers located throughout East Central Illinois. 2014- Expanded yet again when the Kirchner family purchased Complete Lumber, Inc. with locations in Evansville, In., Henderson, Ky., and Madisonville, Ky.
2018- Kirchner Building Centers expanded again with the purchase of F&M Building Supply in Princeton, Indiana! The corporate office is still located in Kansas, IL, where the company was founded in 1906. Kirchner Building Centers currently has thirteen locations in East Central Illinois, Southern Indiana, and Northern Kentucky. We pride ourselves in offering the personal service you would expect in a locally owned business. We have nine locations within a 150 mile radius. This gives us greater purchasing power, enabling us to offer competitive pricing and much more, readily available inventory. Our special services include key cutting, window/screen repair, professional advice, kitchen design and layout, free estimates, and paint color-match computers in some locations. All our locations offer quick, dependable delivery with the appropriate equipment to handle the job, delivering when and where you need it. "We're proud to be the hometown source for all your home improvement needs. For the past 100 years our hope has been to provide you with top rate products at competitive prices. With your support, we've been able to grow and serve even more of our neighbors. We want to continue to serve your building material needs, and ask that you stop in and see us today."